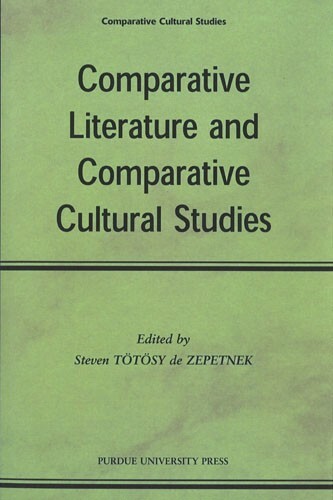 Articles in this volume focus on theories and histories of comparative literature and the emerging field of comparative cultural studies. Contributors are Kwaku Asante-Darko on African postcolonial literature, Hendrik Birus on Goethe's concept of world literature, Amiya Dev on comparative literature in India, Marián Gálik on interliterariness, Ernst Grabovszki on globalization, new media, and world literature, Jan Walsh Hokenson on the culture of the context, Marko Juvan on literariness, Karl S.Y. Kao on metaphor, Kristof Jacek Kozak on comparative literature in Slovenia, Manuela Mourão on comparative literature in the USA, Jola Skulj on cultural identity, Slobodan Sucur on period styles and theory, Peter Swirski on popular and highbrow literature, Antony Tatlow on textual anthropology, William H. Thornton on East/West power politics in cultural studies, Steven Tötösy de Zepetnek on comparative cultural studies, and Xiaoyi Zhou and Q.S. Tong on comparative literature in China. The articles are followed by a bibliography of scholarship in comparative literature and cultural studies, compiled by Steven Tötösy de Zepetnek, Steven Aoun, and Wendy C. Nielsen.